In light of all the distortions and half-truths that are constantly repeated, let’s be clear –what sparked the ire of our founders was not taxes; it was tyranny. Their theme was not simply Taxed Enough Already – it was Tyrannized Enough Already. Their tolerance for tyranny was taxed to the max – that’s the taxation the founders could no longer take. Sam Adams saw the big picture. He knew that if the king assumed the power to lay taxes contrary to the common rights of the colonists, without giving the people any voice, there would be no limit to the power of this government. This current government feels it may force the citizens to purchase healthcare based entirely upon the condition of being alive. If the government is granted such power over the people, ignoring the voice of the people and denying their proper representation, then where are the limits to this power? Was it the money that caused our founders to demand independence? No. It was the erosion of Liberty. The violation of sound principles of government. One quick look at the Declaration of Independence will tell the tale. It was not money; it was the King controlling the entire government, eating away at the separation of powers and coercing Parliament into submission, creating a government ruled solely by the whim of the King. How does this compare to the government we see today? Members of Congress constantly shirk their responsibilities to the people and evade accountability establishing no limit to the reach of their power. This Congress has never stood with “manly firmness.” Congress has become the tyrant American forefathers warned and the America political psyche has devolved into the attitude of slaves. America has a Congress that has refused to hold criminals disguising as government agents accountable for their lawless acts. Hearing after hearing, in a fake court that can only compare to the English Star Chambers of Henry VII, Charles I, and his son James II, has exposed the existence undeniable evidence of clear violations of law over the last decade. Yet, Congress does nothing but make excuses for the political elite, establishing a second set of laws for those in power. Are not these actions truly obstructing the Administration of Justice and an open declaration by those trusted in government to refuse to assent to the law? America has a Congress who will not reign in Executive Regulatory Agencies? How many NEW regulatory agencies, czars, and regulations must we suffer before Congress acts? Every new piece of legislation establishes a new “Task Force,” an new bureaucracy to rule over the people with no elective accountability. What about the regulations and government intrusions by these usurpers that are literally “harassing our people and eating out their substance?” Do we just dismiss the raids on the farms and co-ops over raw milk? Do we forget that Abner Scheonwetter spent 6 years in prison after a regulatory agency prosecuted him for violating an unconstitutional foreign law? Do we allow the EPA to override the Bill of Rights and enforce THEIR OWN law upon the people without due process as they did to the residents of Bonner County, Idaho, among others? What about the cry for the necessity of gun control and speech control (also called “hate”) laws? America has a Congress has become the epitome of a press gang, robber barons- regularly denying Americans their Rights to due process and property. Our legislators enact laws and turn a blind eye to regulations that enable a true kind of tyranny over the people committed by executive agencies and their agents through laws like the Patriot Act, sections 1021 and 1022 of NDAA, and The Federal Building and Grounds Improvement Act [HR347]. America has a government that attempts to regulate out of existence our right to bear arms. Where will the power of the Department of Homeland Security and the TSA end? When will Congress step up and become the guardians of the Constitution as their oath demands? Our Congress has failed to be a government of the people, by the people and for the people. It has become a government of power in an Oligarchy. For our founders, it was never just about the money and it was always about the tyranny of those in power who were able to convince a majority that the “good of the Kingdom” was more important than the common rights of men. For more than a decade, our founders continued to speak and continued to be ignored. However, there is a growing number of Americans who feel we have been ignored too long. Tired of being silent while the liberties of our children are sacrificed at the alter of political pragmatism. But the courage to overcome that silence is growing. 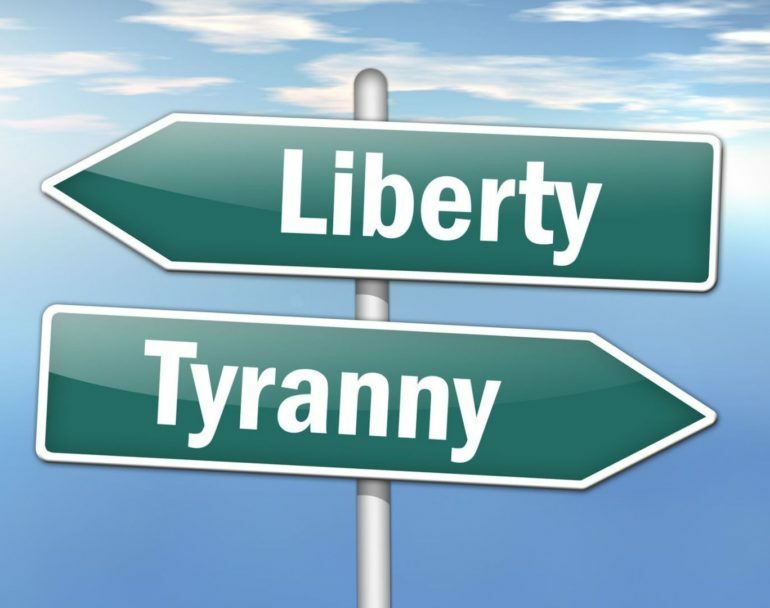 And when the need for true liberty and real self-governance overrides the desire for comfort, the people will recover their God given rights from the clutches of a legislative body focused only upon power, personal wealth, and control. Then we will not quit until the task is complete. We will be resolved to give our last breath in the defense of Liberty. Do we want Liberty or do we want slavery. The choice is just that simple, because it is NOT about the money.